For years people have come to our area in the summer for the beautiful mountain climate. Last year the city of Asheville recorded just one day when the temperature reached 90 degrees Fahrenheit. Well, we just hit 89 and it’s only June. When it gets hot in town, we head for the hills, specifically for the wild trout streams within the Pisgah National Forest. 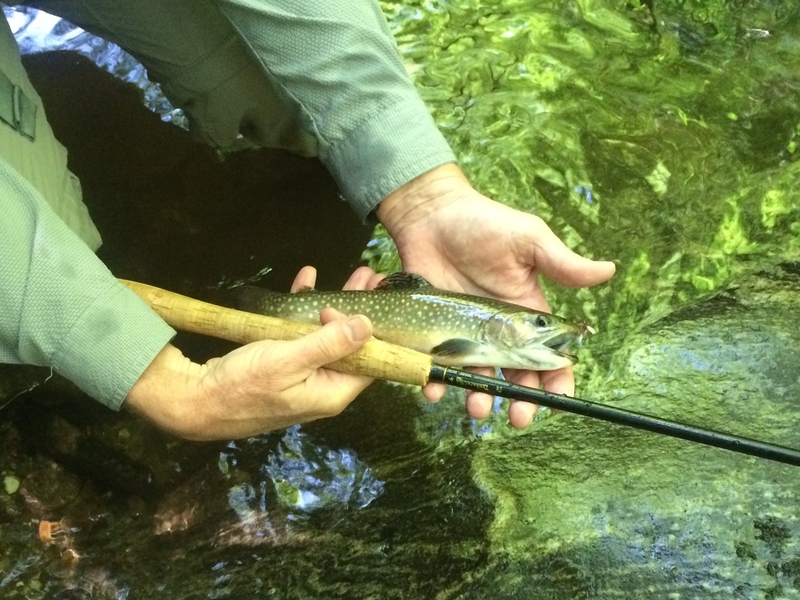 It may have been 90 in town but it was a cool 75 degrees down in the drainage we fished today and while we were beating the heat…we tenkara’d up some lovely Native Brook Trout. Now that is cool!